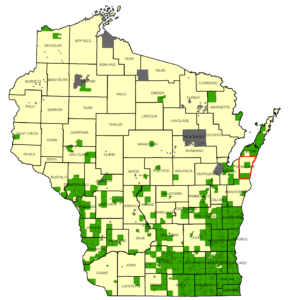 Communities known to have emerald ash borer as of September 2018 are shown in green, with Kewaunee County highlighted in red. 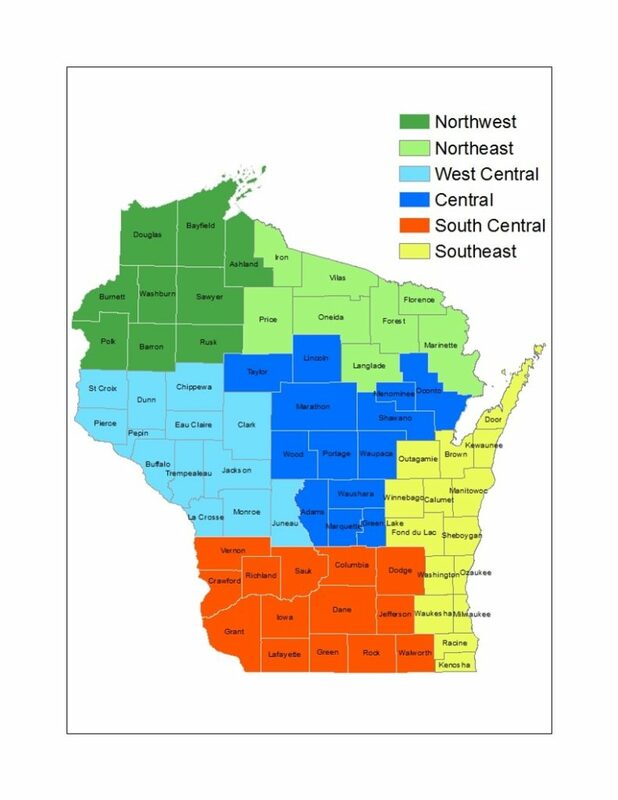 Modified from a map by the Wisconsin Dept. of Agriculture, Trade and Consumer Protection (DATCP). 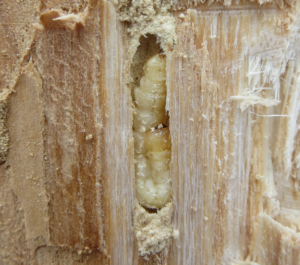 In August, two separate infestations of emerald ash borer (EAB) were found in rural areas of Kewaunee County. 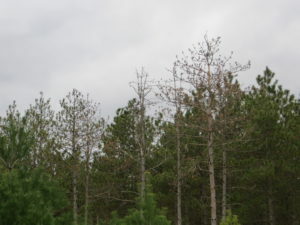 EAB has spread through Wisconsin over the last few years, so these detections were expected. The first infestation spans the towns of Carlton and Franklin in the southern part of the county. A county resident reported the second infestation, located in the Town of Casco, in late August. The pest is likely present in other parts of the county as well. 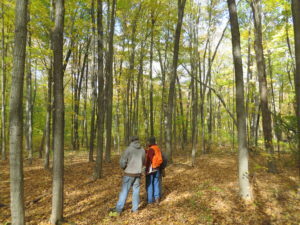 This landowner workshop will cover a wide range of topics centered on the idea that oaks, today and in the future, are a shared resource important to people and wildlife in the Driftless Area in southwestern Wisconsin. Learn from field experts about the many topics around oak during the morning session and continue discussions at lunch (provided); see some of these practices in action during the afternoon session when you to visit one of several woodland properties actively managing oak. Hurry! These early-bird rates end August 19th. The 39th annual meeting of the Wisconsin Woodland Owners Association will be September 20-23, 2018 at the Potawatomi Carter Casino and Hotel in Wabeno, Wisconsin. 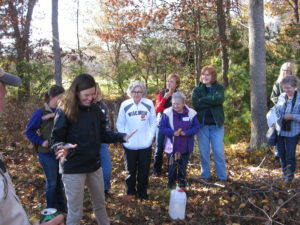 Join WWOA in northeast Wisconsin and experience all the fun tours and interesting presenters that the Phoenix Falls Chapter members have created for all to enjoy! Come for a tour or stay for the whole weekend – there a variety of registration options. Registration for the 2018 Annual Meeting is now available! Visit this page for descriptions of tours and speakers. The Wisconsin Tree Farm Committee invites you to attend their 2018 Annual Field Day on Saturday, August 11 2018 in Bayfield County in northwest Wisconsin. 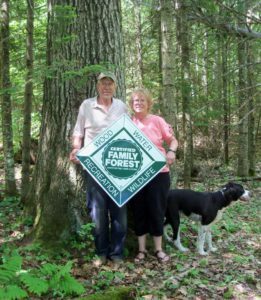 Take a 3-hour walking tour of young forest habitat, regenerating woodlands and successional forest along a trout stream as you stroll Dale and Cathy Paulson’s 131-acre tree farm. 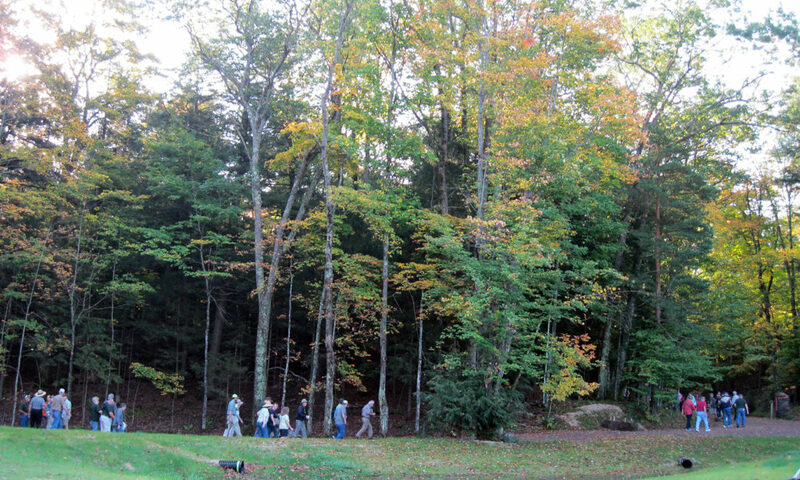 On this property the Paulsons harvest saw logs and pulpwood, protect the trout stream, keep bees, garden and create works of art in their woodworking shop. Return to the Town of Bell Community Center in Cornucopia, WI for lunch, natural resources displays and programs, and silent auction. PLEASE REGISTER BY AUGUST 3rd. Registration is required and covers lunch, refreshments, bus transportation to and from the Community Center in the Town of Bell, and a field tour booklet. Cost: $20/person, $30/couple. For more information and to register visit this site. The number of Forest Health (FH) specialist positions in the state was recently reduced by one, going from seven fulltime positions to six. To reflect this change, the forest health zonal map was restructured to spread coverage between five forest health specialists (the FH specialist position for the Central zone, while not eliminated, remains vacant). The new assignments went into effect on April 3, 2018. West Central zone: Todd Lanigan (Eau Claire), 715-839-1632, todd.lanigan@wisconsin.gov. Also covering Taylor County in the Central zone. South Central zone: Michael Hillstrom (Fitchburg, WI), 608-513-7690, michael.hillstrom@wisconsin.gov. Also covering Marathon, Wood, Portage, Adams, Waushara, Marquette and Green Lake counties in the Central zone. 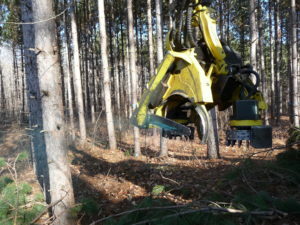 A fulltime FH specialist position, which had been vacant, was eliminated as part of the reduction of six positions from the Division of Forestry in the recent state budget. Because of the increased work load on the five remaining FH specialists, the FH program has permanently reduced or eliminated some of its services to customers to keep the staff’s work load at manageable levels. Forest Health team members must also reduce the number of outreach presentations provided to the public. Please contact Rebecca Gray, Forest Health team leader, with any questions at Rebecca.Gray@wisconsin.gov or by phone at 608-275-3273.